You know the drill: it's Friday and we're here to round up all the happenings you might have missed from the VR and AR world this week. And what a week it's been. Not only have we been on hand to track the fallout from IFA 2017, but also we've been busy looking at the hottest VR studios, demoing the Asus Mixed Reality Headset and checking out which wearable tech and VR headsets are being used in the classroom. Not to mention our deep dive into the VR storytelling going down at the Venice Film Festival. And you thought that was it, didn't you? Well, read on for everything else. 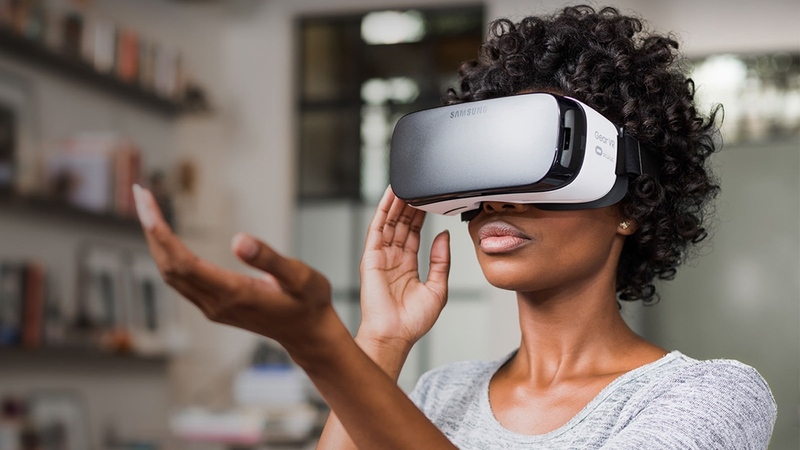 Though entertainment is at the heart of what's provided by the Samsung Gear VR, the Korean giant will explore another use for the headset in 2018, revealing that it will aim to help diagnose mental health problems. Samsung will partner with the Gangnam Severance Hospital and VR company FNI, with the tech set to roll out to mental health care institutes, hospitals and schools over the coming year. The focus will be to provide cognitive behaviour therapies in order to prevent suicide and gain a psychological assessment, with patients offered digital recreations associated with an illness or its trigger. Using VR to improve wellness is nothing new, of course - we've previously tried out VR therapy to cure a fear of flying - but it's a positive step towards what will undoubtedly become the norm in healthcare in years to come. Rockstar Games, the folks behind the likes of Grand Theft Auto andRed Dead Redemption, announced its first foray into VR this week, with LA Noire: The VR Case Files. The spin off will feature seven self-contained cases from the original game redesigned for VR, with players also able to use "real world physical motions, including grabbing, inspecting and manipulating individual clues or using the detective's notebook to make notes or draw freehand". The game is set to land on the HTC Vive on 14 November, so prepare yourself for duty, detectives. While the Red Sox have been busy getting caught up in a cheating scandal involving the Apple Watch, that isn't the only bit of tech-related action surrounding the team this week. NESN, the Red Sox-owned regional sports network, has announced that it will partner with Intel to produce several games in virtual reality. The trial run has already begun, though subscribers can head to the NESNGo VR App and catch the Friday and Saturday matchups against the Tampa Bay Rays. After leaving Galaxy S8 smartphone users somewhat stranded with regard to Daydream VR support out of the box, Samsung has apparently learnt from its mistakes. Its newest flagship, the Galaxy Note 8, won't require software updates in order to access Google's VR platform - perfect for those who prefer it to Samsung's own Gear VR headset. That's right, Ikea is back at it again to help you fill your living room with unnecessary furniture. This time, it's leveraging the AR smarts cooked into Apple's iOS 11 in order to superimpose select items into a space within a room. It's an idea the company has toyed with previously, though with the Ikea Place app users will now be able to take, for example, a sofa or a table, and see it from multiple angles - all through their device's camera. On a related note: Apple is set to announce a slew of new hardware next week, but expect it to also delve deeper into ARKit. If you're tired of trying to pick up on the intricacies of your tunes through regular headphones like a square, Google has partnered with podcast Song Exploder to offer you a new way to experience your music. Called Inside Music, the project allows for artists to dissect songs and explain to listeners how each instrument contributes to a piece. And while users can view this through a tablet or laptop, those with a VR headset can also join in on the fun - dropping into a space in which layers can be switched on/off as the music plays around you. If you remember Duck Hunt from the NES days (or from Nintendo's Virtual Console), this might look familiar. As the trailer above shows, Duck Season is a simple game with throwbacks to the 1980s. But once you've spent your day blasting ducks with a huge dog, err, thing, a new, more complex layer unfolds. There are seven potential endings to the story, with a series of subplots running alongside. Oculus and Vive users will have to wait until 14 September to discover just what's going on in this wacky tale.